STV is an award-winning professional firm consistently ranking among the country's top companies in education, corrections, highways, bridges, rail and mass transit sectors. As an employee-owned firm, this success is the direct result of our employees' commitment to innovation and quality. Throughout the United States and Canada, STV’s professional, technical and support personnel offer services to a broad and expanding client base. We provide a complete range of planning, engineering, architectural, environmental, and construction management services to transportation, infrastructure, design-build, institutional, commercial, energy, industrial, and military clients. Founded more than 100 years ago, we are quality-driven, client-focused, and have a vision for the future. From a single drafting table in 1912 to more than 1,800 people strong today, STV has always embraced the idea that to have a sustained level of success, you have to be client-focused and quality-driven. Dominick M. Servedio, P.E., serves as executive chairman of STV Group, Inc.
Mr. Servedio came to STV after many years in the public sector. He has been continuously associated with the firm since 1977 and was elected president and chief operating officer of STV Group in 1993, chief executive officer in 1999 and chairman in December 2001. He was named executive chairman in September 2011. Throughout his career, Mr. Servedio has been an outspoken leader in his industry on the need for improvements to our nation’s infrastructure. He served as chairman of the New York Building Congress during a period of nearly unprecedented construction activity in the city. 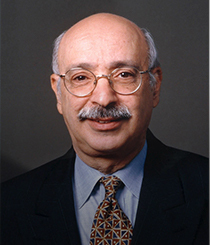 Today he is a director emeritus of the New York Building Congress and the New York Building Foundation. The New York Building Foundation was created in 1998 to promote the long-term growth and well-being of the industry through a program of research, educational and philanthropic activities. He is also an active member of the Construction Industry Roundtable, the Design Professionals Coalition, and is a Fellow of the Society of American Military Engineers. He has received the prestigious Goethals Medal from the Society of American Military Engineers and an Ellis Island Medal of Honor. In May 2014, he received an honorary Doctor of Engineering degree from Manhattan College. 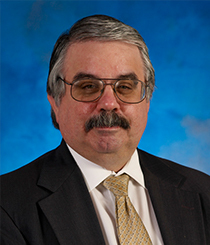 As a capstone to his career, Mr. Servedio was recently elected to the prestigious National Academy of Engineering. Academy membership honors those who have made “outstanding contributions to engineering research, practice, or education.” He is also a member of the National Academy of Construction, an organization comprised of industry leaders who have made outstanding industry contributions. He served as president of that organization from 2014-2016 and remains on its board. Mr. Servedio attended New York University where he earned a Bachelor of Science in Electrical Engineering and St. John’s University where he received a Master of Business Administration. He is a licensed professional engineer. Milo E. Riverso, Ph.D., P.E., CCM, is president and chief executive officer of STV Group, Inc. He has more than 30 years of experience in the fields of program management, construction management and general construction. Mr. Riverso joined STV in 2005 as senior vice president of its construction management division, eventually becoming president of the firm in 2009, and chief executive officer two years later. During his tenure, STV has grown geographically, taken on increasingly complex assignments, and has seen its revenue grow. 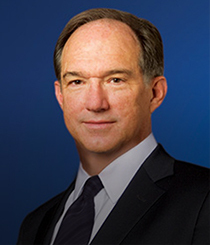 He was elected to the firm's Board Of Directors in 2011. Earlier in his career, Mr. Riverso served as the president and chief executive officer of the New York City School Construction Authority. In that position he supervised the agency's staff of 900 employees who were responsible for the planning, design and construction of capital improvements and new construction of New York City’s 1,199 public schools. Mr. Riverso earned his bachelor's degree in Civil Engineering from Manhattan College, and his master's and doctorate degrees from Purdue University's College of Engineering and recently received its 2018 Distinguished Engineering Alumni/Alumnae Award. He is an executive member of the Society of American Military Engineers, and was recently named chairman of the New York Building Congress. He was also recently elected to the prestigious National Academy of Construction, and was named a Fellow of the Construction Management Association of America. He is a former chairman of the Manhattan College Mentoring Program Board, former chairman of the Board of the New York Chapter of the ACE Mentor Program, and former chairman of the Construction Management Association of America. Peter W. Knipe has served on STV's Board of Directors since 2001. He served as STV Group Chief Financial Officer from 1999 until his retirement in January 2014. Mr. Knipe's 31 years of experience include increasingly responsible financial and administrative positions in the United States and overseas. He joined STV in 1979 as an accountant experienced in financial, contractual and office management. He was promoted to controller in 1983 and treasurer in 1987, corporate secretary in 1993, and CFO in 1999. Mr. Knipe played an instrumental role in STV’s move from a publically traded company to a privately held, employee-owned firm. He has extensive knowledge of Generally Accepted Accounting Principles, Securities and Exchange Commission regulations, and governmental accounting regulations. A graduate of Franklin & Marshall College with a Bachelor of Arts in economics, Mr. Knipe earned a Master of Business Administration in accounting from Temple University. 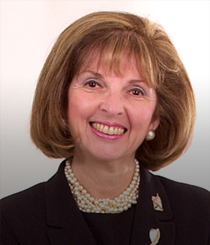 Lillian C. Borrone currently serves as an advisor to, and on the boards of, several public and private agencies. 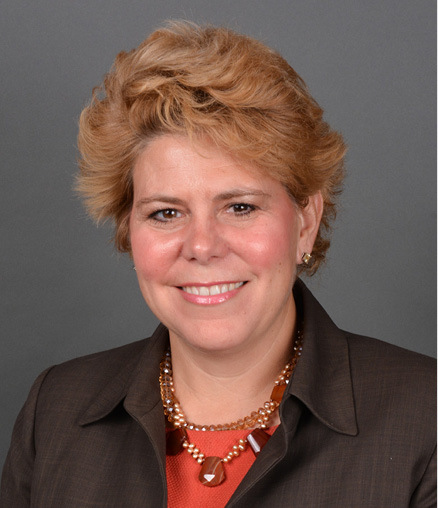 A seasoned senior executive and transportation professional, Ms. Borrone brings to the STV board an extensive background in management, policy formation, planning, and intergovernmental and community relations. From 1982 to 2000 she was employed by The Port Authority of New York & New Jersey, where she ultimately served as assistant executive director. Ms. Borrone served as coordinator for the Office of Recovery and Victim Assistance for the State of New Jersey, Office of the Governor, and was responsible for managing this office after the events of September 11, 2001. She was a Presidential appointee to the U.S. Commission on Ocean Policy from 2001 through 2005 and continues to be an active participant in the Joint Ocean Initiative Leadership Council. Ms. Borrone is the immediate past chairman of the board of the Eno Center for Transportation, serves as a board member for the New Jersey Horizon Foundation, and is a member of the science advisory board of the Stevens Institute of Technology Center for Secure and Resilient Maritime Transportation. Michael Haratunian served as STV Group chairman and chief executive officer until 1999. He continued to serve as chairman of the STV board of directors until he was named chairman emeritus in 2002. Under his leadership, STV emerged from a regional engineering company into a truly national firm. 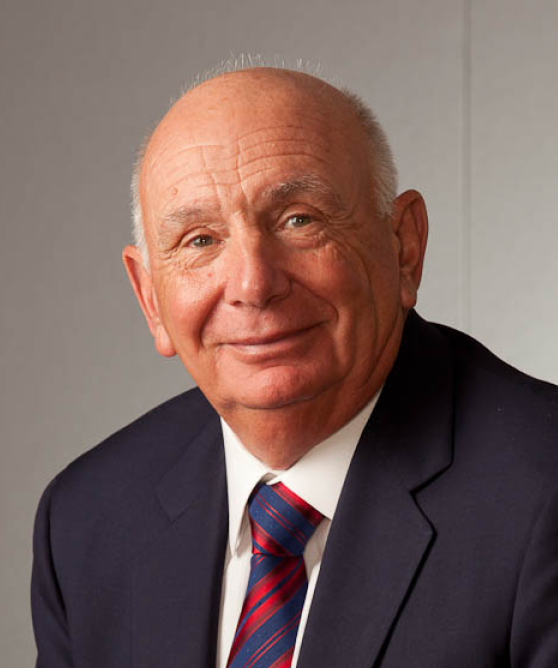 Mr. Haratunian joined the firm in 1955, and rose through the ranks with STV to become CEO in 1991. During his distinguished 44-year engineering career, he managed the design of award-winning large-scale engineering and construction assignments for aerospace, military and transportation clients. A graduate of City College of New York with a bachelor of science in civil engineering, Mr. Haratunian is a Life Member of the American Society of Civil Engineers (ASCE), and a Fellow of the Society of American Military Engineers (SAME). Among numerous honors, he received the ASCE Metropolitan New York Section’s 1992 Civil Engineer of the Year Award, and SAME’s Gold Medal in 1999 and Golden Eagle Award in 2002 for his outstanding service to the engineering profession. Mr. Haratunian has remained active in the engineering field, offering the benefit of his many years of experience in the profession, providing a perspective from both a technical and management standpoint. G. Michael Stakias is president and chief executive officer of Liberty Partners, L. P., a New York-based private equity investment firm. He brings to STV's board an extensive knowledge of the capital markets and business law as well as a long history of advising STV on such matters. 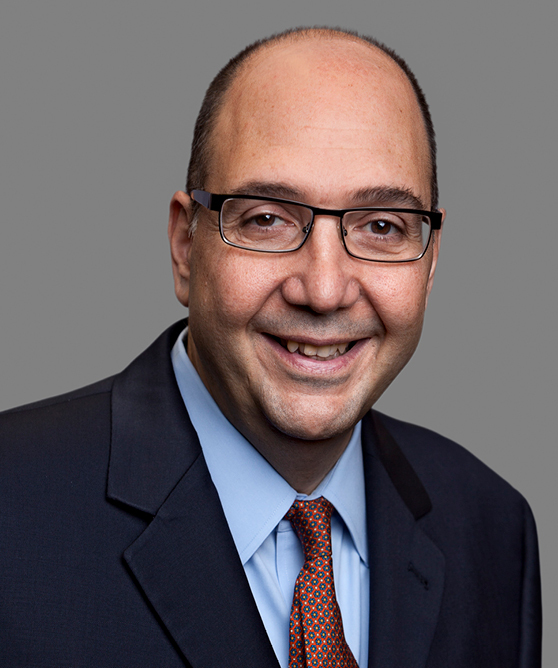 Prior to joining Liberty Partners in 1998, Mr. Stakias was a senior partner in the Philadelphia law firm of Blank Rome LLP. He joined Blank Rome from the Division of Corporation Finance of the U. S. Securities and Exchange Commission in Washington, D. C. Mr. Stakias currently serves on the boards of directors of Dorman Products, Inc.; Concorde Career Colleges, Inc.; and Whittle Schools & Studios. He also serves on the board of trustees of the College of William & Mary Raymond A. Mason School of Business in Virginia. As a capstone to his career, Mr. Servedio was elected into the prestigious National Academy of Engineers. Academy membership honors those who have made “outstanding contributions to engineering research, practice, or education.” He is also a member of the National Academy of Construction, an organization comprised of industry leaders who have made outstanding industry contributions. He served as president of that organization from 2014-2016 and remains on its board. 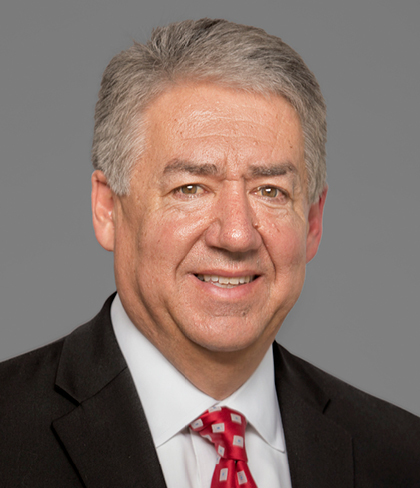 Milo E. Riverso, Ph.D., P.E., CCM, is president and chief executive officer of STV Group, Inc. He has more than 30 years of experience in the fields of program management, construction management and general construction. 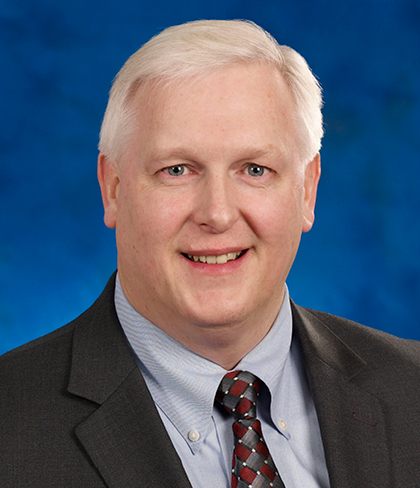 Mr. Riverso joined STV in 2005 as senior vice president of STV Construction Inc. and was subsequently named an executive vice president of STV and director and chief operating officer of the firm's national Construction Management Division. Under his leadership, STV's Construction Management practice doubled in size, expanded its range of services and took on larger projects. He was appointed president of STV Group, Inc. in February 2009 and chief executive officer in September 2011. He was elected to the Board Of Directors in 2011. Mr. Riverso earned his bachelor's degree in Civil Engineering from Manhattan College, and his master's and doctorate degrees from Purdue University. He is an executive member of the Society of American Military Engineers and was recently named chairman of the New York Building Congress. He was also recently elected to the prestigious National Academy of Construction, and was named a Fellow of the Construction Management Association of America. 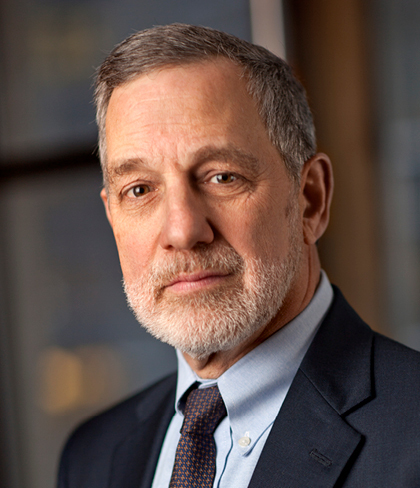 He is a former chairman of the Manhattan College Mentoring Program Board, former chairman of the Board of the New York Chapter of the ACE Mentor Program, and former chairman of the Construction Management Association of America. As STV Group’s chief financial officer Thomas Butcher, CPA, oversees the firm’s corporate financial management. His career spans more than 30 years of experience in corporate finance, including project accounting, in the architectural, engineering, and construction management industries. A member of STV’s operating committee, he serves on its Investment Committee and is a member of its Strategic Planning Group, helping to chart the firm’s future growth and expansion. Earlier in his career, he held several different finance roles, including chief financial officer for various firms. He began his career with the global accounting firm Ernst & Young, LLP. Mr. Butcher earned his Master of Business Administration degree from the University of New Hampshire and bachelor’s degrees in accounting and history from Marietta College. He is a Certified Public Accountant. As STV’s chief operating officer, Chuck Kohler, P.E., S.E., oversees the daily operations of the firm. He is an accomplished engineering and construction professional who, over the course of his more than 30-year career, has demonstrated strong business, operations and project delivery skills. Mr. Kohler has amassed industry experience in almost every engineering and construction professional service role, including design engineer, site engineer, division manager, project/program manager, operations director and corporate executive. Prior to joining STV, he served as the global director of project operations for a major design/construction consultancy firm, where he was responsible for supporting the company’s program management, capability development and risk management efforts worldwide. Mr. Kohler holds Bachelor of Science and Master of Science degrees in civil engineering from the University of Illinois at Champaign, and a Master of Business Administration degree in finance and international business from Northwestern University. He is a registered professional engineer and a licensed structural engineer. Gerald Donnelly, P.E., P.Eng., has led STV Energy Services, a division of STV, since its inception. The division comprises STV’s petroleum, gas and electrical transmission business, and its associated environmental practice. Mr. Donnelly has more than 30 years of design management and operations and business development experience, and developed the firm’s energy practice in 1990, with projects along the East Coast, Gulf Coast, Mid-Atlantic, Southeast, and in the Midwest. In 2004, Mr. Donnelly received the Engineering Manager of the Year award from the Philadelphia section of the American Society of Civil Engineers (ASCE). A registered professional engineer in more than 30 states and Canada, Mr. Donnelly earned his Bachelor of Science in Civil Engineering from Paisley College of Technology, Scotland. He is a member of the ASCE and the Society of American Military Engineers and is based in STV’s Douglassville, PA, office. 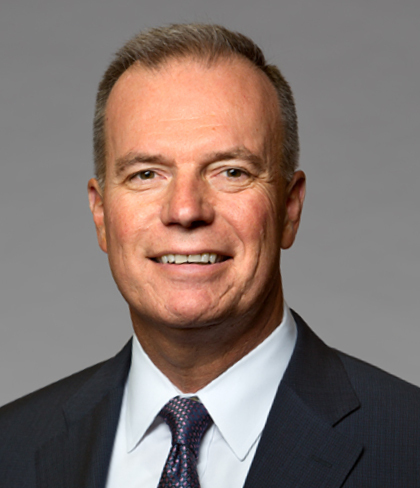 Martin F. Boyle is executive vice president of the firm’s Transportation & Infrastructure Division, a nationwide practice that combines the firm’s rail, highway/bridge and aviation infrastructure capabilities. 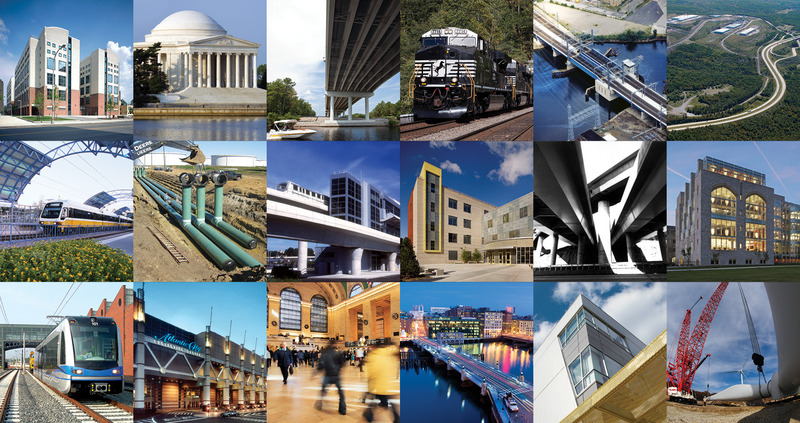 The division is engaged in all aspects of transportation and infrastructure planning, design and construction/program management services, including design-build projects. 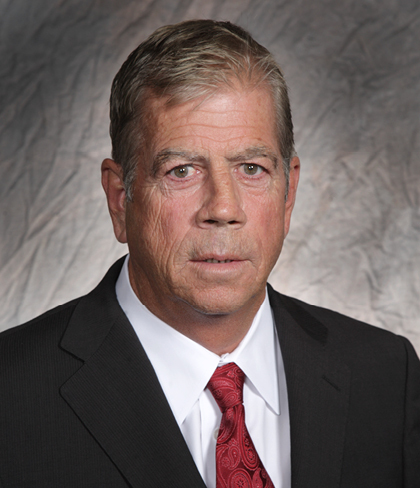 Mr. Boyle has more than 40 years of design and management experience in the transportation industry. He joined STV in 2000 and most recently served as the deputy division manager for the Transportation & Infrastructure Division, where he played a critical role in building the firm’s rail and bus transportation practices, including the vehicles, systems, transportation planning, transit operations, and vehicle maintenance facilities practices. Mr. Boyle is a member of the American Public Transportation Association. Jon Miller, AIA, LEED® AP, is executive vice president of the firm’s national Buildings & Facilities Division, which provides multi-disciplined architectural and engineering design and consulting services to public, private, and institutional clients. Mr. Miller has more than 30 years of design and management experience in the architectural and engineering industry. His diverse portfolio includes federal and defense work, as well as transportation, education, justice and health care projects. A registered architect, Mr. Miller is a member of the American Institute of Architects, National Council of Architectural Registration Boards (NCARB), the American Council of Engineering Companies, New York Building Congress, Society of American Military Engineering and the U.S. Green Building Council. He received his Bachelor of Science in Architecture from the University of Michigan. Edward Pogreba is the executive vice president of STV’s Construction Management Division. In this role he directs the division’s nationwide activities in construction, construction management, program management, design-build, construction supervision and inspection, and project controls. Mr. Pogreba has more than 25 years of experience in the construction industry, with an expertise in building construction, and program and construction management. His diverse portfolio includes federal, health care and education projects. Mr. Pogreba is a member of the Design-Build Institute of America, the Construction Management Association of America, and the American Arbitration Association. He received his Bachelor of Science degree in architecture from Washington State University. 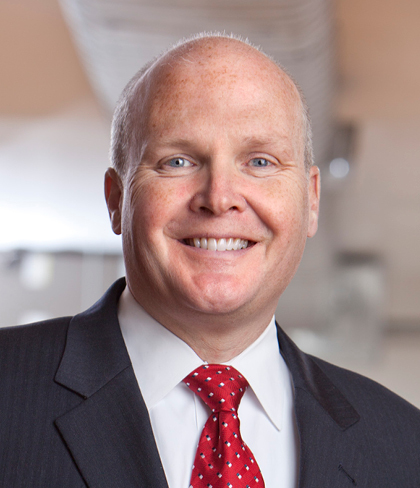 Thomas F. Prendergast is an executive vice president and chief strategy officer of STV. In this role, Mr. Prendergast is responsible for strategic projects throughout STV, as well as forging and maintaining relationships with transit agencies across the country and in Canada. He also serves as principal on major transportation projects undertaken by the firm. 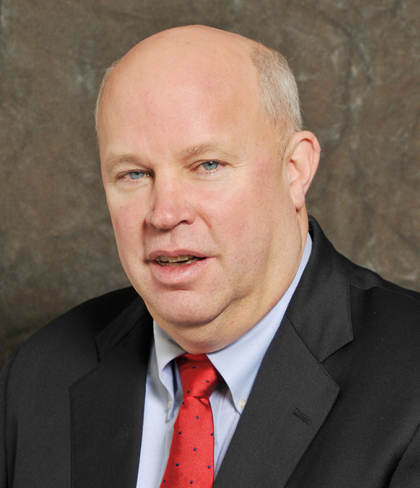 An experienced leader in the transportation industry, Mr. Prendergast recently served as the chairman and chief executive officer of the Metropolitan Transportation Authority (MTA) in New York City where he was responsible for establishing the strategic direction and policy of the agency. Earlier, he served as the chief executive officer of the South Coast British Columbia Transportation Authority. Active in a number of transit industry associations, he is a strong advocate for safety related causes in the industry. Mr. Prendergast received his Bachelor of Science in Socio-Technological Systems Engineering, Urban Transportation Systems from the University of Illinois, and graduated from the Harvard Program for State and Local Government Executives. 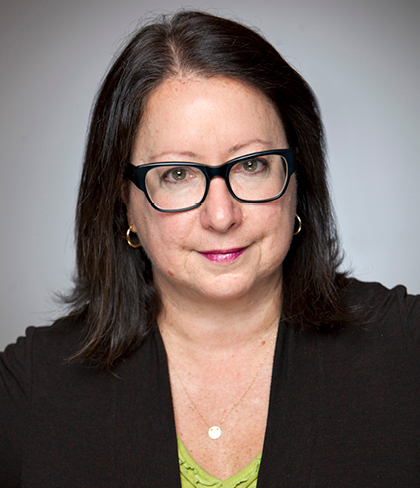 Judith E. Held, J.D., STV senior vice president, is the firm’s general counsel. In this position, she manages STV’s legal matters, advising senior management and professional and administrative staff on contracts, insurance, risk management, compliance, employment, claims and industry related issues, as well as other general legal matters. Ms. Held is based in STV’s New York office. With STV since 2005, she has more than 30 years of experience as a lawyer. Prior to joining the firm, Ms. Held handled all phases of complex commercial litigation for several New York law firms. STV was among the clients that she represented during those years. Ms. Held received a Bachelor of Arts degree in social sciences from the State University of New York at Stony Brook, and earned her Juris Doctor degree from St. John’s University School of Law. Ms. Rosenberg manages the marketing, communications, creative services, and research functions of STV, and serves on its operating committee. She has over 35 years’ experience in the engineering and construction industry. She is a member of the scholarship committees for the Society of American Military Engineers New York City Post, American Consulting Engineers Council of New York, and the ACE Mentor Program of Greater New York, and is a member of the Women’s Transportation Seminar Greater New York Chapter. She also serves on the board of Those Amazing Professions, a non-profit organization founded to help kids become aware of careers in various professions, including those in the construction industry. 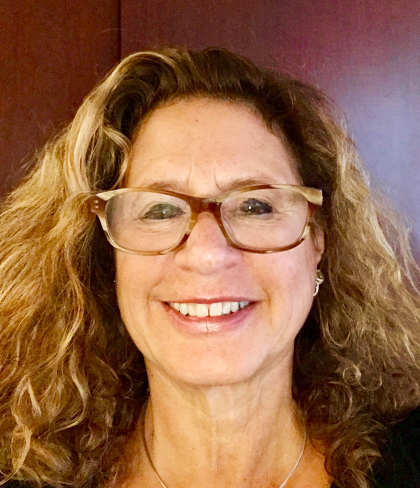 Ms. Rosenberg has a Bachelor of Arts degree in Human Ecology from Connecticut College and an MBA in Finance from the Fordham University Gabelli School of Business. 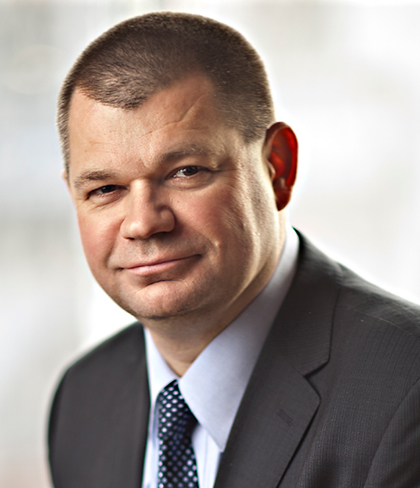 Tibor D. Menyhert, vice president, is STV’s chief information officer. With more than 25 years’ experience, he is an expert in IT governance and planning and has extensive experience in global information technology management. He is a member of the company’s operating committee, and is involved with many of the firm’s projects and corporate strategic planning. He has implemented new initiatives that have focused the organizations Information Technology services towards providing efficient and cost effective solutions to meet the evolving needs of STV and its clients in today’s highly digitized global market. Mr. Menyhert received his master’s degree in technology management from the Stevens Institute of Technology, in Hoboken, NJ, and his Bachelor of Science in electrical engineering technology from the New Jersey Institute of Technology, Newark, NJ. He is a member of the Construction Management Association of America, American Council of Engineering Consultants, Society for Information Management and has served on various industry related advisory boards and committees. Sonja Glatzhofer is vice president and chief human resources officer of STV, responsible for talent acquisition, talent management and organizational development, benefits and compensation and succession planning. She brings to the firm nearly 30 years of human resources experience representing a wide range of industry sectors. Before joining STV, Ms. Glatzhofer was with a large multi-national engineering and construction firm with offices in 25 countries, serving as the vice president of human resources for its $8 billion construction services division. In that role, she spearheaded all human resources initiatives, including strategies for employee engagement, workforce planning, retention and recruitment, as well as succession planning, performance and compensation. Prior to that, Ms. Glatzhofer was with a leading construction and project management firm, where she led the integration and transformation of human resources services for a new construction services business line. Ms. Glatzhofer holds a Master of Science in Human Resources Management from Northeastern University and a Bachelor of Arts in Psychology from the University of Connecticut.